Regardless of whether it’s an air conditioner, heat pump, or furnace, your HVAC system works hard throughout the year to maintain a certain level of comfort. Over time units will naturally accrue wear and tear, which lowers the energy efficiency of the product and increases the risk of expensive problems in the future. Maintenance is one of the best ways to avoid those issues, and fortunately, consumers can do a lot of those things themselves, but in order to make sure a comfort system lasts as long as possible HVAC technicians need to be involved. That’s why TemperaturePro® Central New Jersey is proud to offer the Total Comfort Club membership for everyone. The biggest benefit of proactive maintenance is preventing big issues in the future. 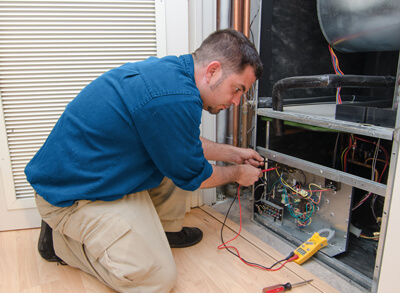 HVAC system repairs can easily cost hundreds of dollars, and if the issue is so bad that a replacement is required, the costs can run even higher. 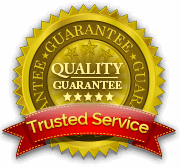 TemperaturePro® technicians give consumers the peace-of-mind in the knowledge that the comfort system they own is professionally maintained and is working at maximum capacity. The good people of Central New Jersey can rest assured that their air conditioner won’t shut down during a July heat wave and their furnace will keep going strong throughout those winter cold fronts. Of course, with all things in life there are no guarantees, but investing in preventive maintenance with the Total Comfort Club is the best way to enjoy efficient and reliable comfort for years to come. Download the Total Comfort Checklist that our technicians use to ensure that your thermostat, Blower compartment, Cooling system, Heating system, and other vital HVAC components are functioning properly and safely.